The flu is sweeping across the nation. Learn more about the history, the science, government intervention and possible relief in CLP’s current event! CLP: Analysis piece discussing the government’s role in calling national attention to any threat, health, environmental or military. CLP: Interesting history and medical view of how we deal with the flu. “The fact is, he says, researchers don’t know that much about the mechanics of how bugs spread, so he’s trying to understand it from every possible angle. CLP: A picture of the Gesundheit Machine is included in the article. CLP: Excellent reminder to stay vigilant! Why is the flu so widespread this year? 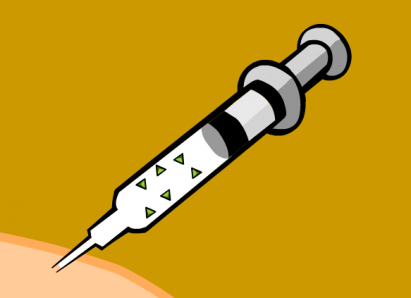 What laws regulate who is required to get a flu shot? Is the authority to monitor public health a national or state responsibility or both? How do vaccinations which are required by schools illustrate the state interest in health and welfare? What are the exemptions? What is school exclusion day? Are the health decisions made by the government a majority/minority issue? How important is reliable and up to date data in fighting the flu? Might special interests be interested in using the flu outbreak for their own profit? Pharmaceutical companies? Is it the government’s responsibility to monitor flu statistics? Is it the government’s responsibility to legislate on health issues? Are health decisions connected to the Preamble: insure domestic tranquility and promote the general Welfare?? What is the Center for Disease Control and Prevention? Is influenza an international issue? What is the WHO? What level of funding should be allotted to disease prevention? Is disease prevention a national security issue? How can research on a flu vaccine be encouraged by the government? HS.27 Examine functions and process of United Sates government.